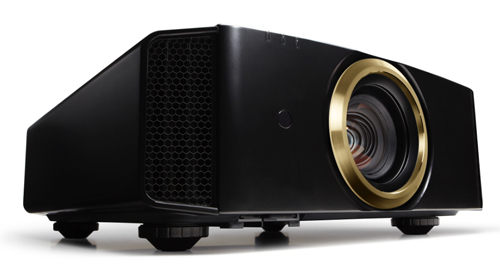 As you might expect from any JVC Reference Series Custom Install Projector, the image quality alone of the JVC DLA-RS440U makes it worthy of your close attention if your home theater projector budget is in the range of $3,999. Its D-ILA technology--JVC's proprietary version of LCoS--gives it exceptionally dark blacks and vibrant, saturated color, which combine to deliver stunning images with a high contrast ratio and deep sense of three-dimensionality. Boosting the visual impact even further is e-shift5 technology--JVC's newest generation of pixel-shifting. With 4K input, e-shift5 lets the RS440U's three 1080p D-ILA devices produce an image that's virtually indistinguishable from native 4K. It also upscales 1080p input. Along with the superb image quality and 4K support, the RS440U includes a robust list of other features to help justify the price. High on the list is the lens system, with motorized zoom, shift, and focus, and a notably large lens shift range in both vertical and horizontal directions. The powered Lens Memory also lets you save five positions to adjust all three settings with a single command. This will be of particular interest if you want a Constant Image Height (CIH) installation with a Cinemascope 2. 4:1 screen and don't want to bother with--or pay for--an anamorphic lens. Other key features: Intelligent Lens Aperture, which increases an already high native contrast ratio of 40:000:1 to an effective 400,000:1; HDR support; Two Full Speed 18Gbps, HDCP 2. 2-compatible HDMI 2. 0b ports, which means both can accept up to 4K 60P 10-bit (4:4:4) signals for 4K HDR; and Full 3D complete with 3D anamorphic support, although you need an optional $99 RF Emitter as well as glasses at $179 each to use 3D. Topping off the list is the bright image. Rated 1,800 Lumens--matching our center spot reading--and measured at 1,676 ANSI Lumens, the RS440U is bright enough for a 185" diagonal 16:9 image in a dark room. Image quality for film and video is jaw-droppingly gorgeous, with or without 4K e-Shift. Most of the visual impact comes from superb basics: rich, saturated color; an incredibly dark black; and a notably high contrast ratio. A totally black image shows a negligible glow, just a shade above the surrounding area even in a dark room and invisible with the slightest amount of ambient light. More important, black areas stay just as dark in images that also include bright content, giving the RS440U its extraordinary contrast ratio and three-dimensionality. Color accuracy using default settings for the Cinema color preset is good enough that you wouldn't know if its spot on or not without measurements or a calibrated reference display to compare to. Natural mode is a close second. It has a slight green bias with default settings, but is easy to adjust to a neutral color with almost no loss of brightness. Color presets also include an Animation mode with its own color profile as well as other settings designed specifically for animations. Similarly, HDR mode handles HDR input nicely, with gamma settings and a color profile designed for HDR. The HDR profile supports BT. 709, with BT. 2020 colors mapped as closely as possible to the BT. 709 color space. 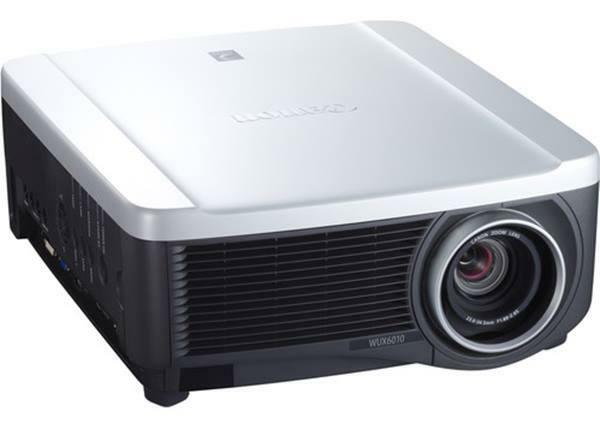 As you would expect with this class of projector, there are a wealth of customization settings, including, for example, Frame Interpolation (FI), which JVC calls Clear Motion. Unlike some pixel-shifting projectors, the RS440U lets you use FI even with pixel shifting on. However you can't turn on FI with Low Latency mode on. As is typical, FI is best reserved for live or recorded video, where the digital video effect serves as enhancement rather than the distraction it can be with film. The Low setting smoothes the image only a little but adds minimal digital video effect. The High setting eliminates judder in film entirely, while making the image look like live video. There is also an Inverse Telecine setting that works only with 60i/60p video input. It is meant for a TV program, for example, that is showing material originally filmed at 24 frames per second. You can customize any of the predefined modes or the five User modes to taste. In addition, the RS440U is ISF certified. If you choose to have an ISF-certified technician calibrate it, ISF Day and Night modes will be available as well. e-shift 5. Pixel-shifting technology like the latest generation e-Shift 5 can make an image that uses native 1080 chips nearly indistinguishable from one using native 4K chips primarily because there's a limit on how much detail the human eye can resolve. JVC says that its latest generation e-shift has closed the gap between it and native 4K displays even further than earlier versions by analyzing "every pixel in a native 4K signal to provide more optimization and better sharpening. " It also says e-shift5 vastly improves detail in very small text. A side-by-side comparison to a native 4K projector shows only a small difference in resolution between the two. It is easiest to see in small text fonts in a presentation or in, say, a medical display in a movie. There's an example of one in Casino Royale, where a small-size number that's clearly 6 in the native 4K image looks more like an 8 with the RS440U. To see the difference between the two, however, I had to pause playback and get within a foot of the screen. The difference is impossible to see from any likely seating distance. HDR. Projector technology has inherent limitations for HDR, particularly in a room with ambient light that can impact the darker shades in an image. Within that context, the RS440U handles HDR about as well as possible. For testing, I used the Batman v Superman 4K HDR disc, which has lots of dark scenes as well as some that are brightly lit. The default settings for the RS440U may well be technically accurate for HDR, but even in a dark room with High lamp power--and even with brightly lit scenes--they leave the image too dark overall and lose significant shadow detail. Both issues are easily solved by tweaking brightness and contrast or tweaking the gamma settings. The resulting image may be less accurate HDR in a technical sense, but it offers a far more compelling picture. Note too that, as advertised, the RS440U accepts input up to 4K 60p with 4:4:4 subsampling, which means it has the bandwidth to work with all 4K HDR players and other hardware. It also supports both HDR10 and Hybrid Log-Gamma (the HDR standard for broadcast TV). 3D Video. The RS440U supports Full 3D at 1080p and includes menu settings for parallax, for best 3D effect, and for eliminating, or at least minimizing, crosstalk. The 3D works with both JVC's IR emitter and glasses--which are discontinued, but still available from some distributors at this writing--and its current $99 RF emitter and $179 RF glasses. Both emitter and glasses are optional accessories, however. We did not have them available for testing. Video Optimized Lumens. Both Cinema and Natural color presets offer close to accurate color straight of the box, with Cinema having a slight edge when compared with a calibrated projector. But the best match is the Natural preset with some tweaking. The small drop in brightness, to 1609 ANSI lumens, is still enough for a 185" diagonal 16:9 image in a dark room or a 115" image with moderate ambient light. Presentation Optimized Lumens. Using the RS440U for presentations is akin to using a Lamborghini for your daily commute to the train station. Should you want to use it for that, however, the Cinema preset at its default settings delivers vibrant, saturated color at the full 1676 ANSI lumens. Low Lamp Mode. The Low lamp mode on the RS440U lowers brightness by just a touch more than 30%. Zoom Lens effect. The 2x zoom lens offers significant flexibility for positioning the projector with only a moderate drop in brightness. The lens curtails light by about 18% at the full telephoto setting compared with the wide-angle setting. That's a lower brightness loss than with many 2x zoom lenses, but enough to notice. For maximum brightness, in short, you'll want to put the RS440U as close to the screen as possible, but you won't lose all that much brightness if you position it farther away. Brightness uniformity. The measured brightness uniformity, at a very solid 87% is just enough to barely see in a solid white image if you look for it. For all practical purposes, there is no visible variation across the screen. Input Lag. With Low Latency On and FI off, input lag is just 42 ms with all color modes. With Low Latency Off it jumps to 122 to 156 ms depending on the color mode and the Clear Motion setting. Fan noise. JVC rates fan noise in Low power mode at 21 dB, which is low enough that it is hard to hear in a quiet room. High power mode, rated at 26 dB, is enough higher to be noticeable in most home theater-size rooms during quiet moments. The constant, low-pitch quality makes it far less bothersome than if it varied in volume or pitch, but if noise is one of your key issues, you'll probably want to stay in Low mode. JVC recommends using High Altitude mode at 3,000 feet and above. Fan noise is higher for both power settings in this mode, but Low with High Altitude mode on is quieter than High mode with it off. Most users who need High Altitude mode will probably want to limit the RS440U to Low power mode. Lamp life. JVC rates the RS440U lamp at 3,500 hours using High lamp power and 4500 hours with Low lamp power. Replacements are a hefty $599. Warranty. The price includes a three-year warranty for the projector and one-year or 1,000 hour warranty for the lamp. With its 2x zoom and large vertical and horizontal lens shift, the RS440U offers plenty of placement flexibility whether in a ceiling mount or behind the seating area. If you're replacing an older projector in an already existing mount, the large zoom and shift ranges make it easy to adjust the image position to fit on the screen, and the fact that zoom, focus, and lens shift are all powered makes it even easier. For placement behind the seating area, the intake vents on the back along with the size and weight--at 7" x 17. 9" x 18. 6" (HWD) and 34 pounds--make installation on a rear shelf problematical. However, placement on top of a high cabinet behind the seating area would work. Keep in mind too that if you want to take advantage of 4K HDR and your current HDMI cable isn't 4K HDR compliant, you'll need to replace it. Throw Distance. The RS440U's throw distance for a 150" 16:9 diagonal image is roughly 15.25 to 30.5 feet. The lens will curtail the brightness at the long end of the range by about 18%, however, which is enough to notice. For higher brightness, you'll need the projector as close to the screen as possible. If you want to use the RS440U Lens Memory for a Constant Image Height (CIH) setup without the need for an anamorphic lens, you'll need to choose a distance that will let you have the CIH for all the aspect ratios you need. You can then store the appropriate lens settings for 2. 4 format, 16:9 format, and other aspect ratios in the five Lens Memory settings, and adjust image size for each format by loading each setting as needed. See the JVC RS440U Projection Calculator to find the throw range for your screen size. Lens Shift Range. The horizontal and vertical shift for the RS440U interact, so the overall shape of possible positions takes the form of an oval. At the maximum shift for either one, the shift for the other is 0. With the RS440U on a table and the lens at the top of its maximum vertical shift range, the bottom edge of the image is about 40% of the image height higher than the centerline of the lens. At the bottom of the shift range, the entire image is below the lens, with the top of the image about 18% of the image height below the lens centerline. With the vertical shift at the center position of its range, the horizontal shift is roughly 35% of the image width left and right of the center position. Pixel shifting still isn't native 4K. The difference in detail between 4K e-Shift and native 4K imaging chips isn't much, and you're unlikely to notice any. But there is a small difference. Low Latency mode. Although the 42 ms input lag with Low Latency On will be fast enough for many if not most gamers, some may consider it slow compared to the 16 ms lag available with the fastest projectors currently on the market. Low Latency mode vs. other features. With the RS440U's lens shift range, you aren't likely to need digital keystone correction. But if you use it, you can't use Low Latency mode. Similarly, to no surprise, you can't turn on Low Latency and FI at the same time. At $3,999, the JVC DLA-RS440U is impressive for the price and worth every penny. It can accept up to 4K 60p 10-bit (4:4:4) input and translate it to a level of detail on screen that's virtually indistinguishable from native 4K resolution. For HDR it supports both HDR10 and Hybrid Log-Gamma. And most important, it layers these leading edge features over a solid foundation of basics. The RS440U delivers dark black, high contrast ratio, and saturated color. The combination adds three dimensionality to 2D images and is at least arguably more important for producing a compelling image than the boost to nearly 4K resolution. As an incidental extra, it also offers Full 3D. And at 1,800 lumens it is bright enough to give you a 185" 16:9 image in a dark room. The combination of powered zoom, lens shift, and focus paired with five Lens Memory settings is another key strength, The automated lens positioning allows the convenience of a CIH installation without needing an anamorphic lens. There are only a few projectors in this price range and below that offer both powered Lens Memory and 4K HDR support. All use e-shift or the equivalent. Of those few, there are only four--all from JVC--that can accept HDR signals at up to 4K 60p 10-bit (4:4:4). Only two of those--the JVC DLA-RS440U and the JVC DLA-X590R offer JVC's latest generation e-shift 5 with its improved image quality over previous versions, and according to JVC, both models are the identical projector sold through different channels. The JVC DLA-RS440U, in short, is an essentially unique, standout choice. 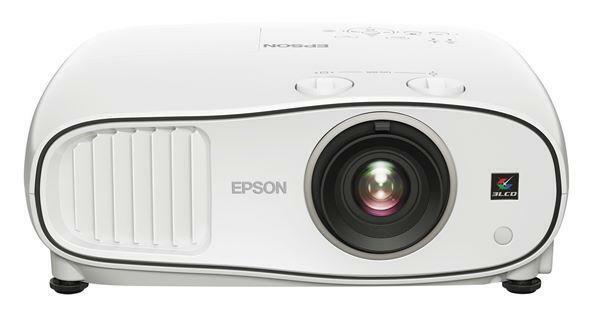 Come on Epson...release a 5045UB with a 18 gbbs HDMI chipset that supports 4K 60p HDR and you'll have a killer product. If you add a laser light source you'll own the market! I would wait for HDMI 2.1 version, probably in 2019.Obviously it will not have 48Ggbps but for VRR, Dynamic HDR and future compatibility at least. No mention of any calibration software for this projector? Other than the JVCs, the only other projector I am aware of with a full 18GB HDMI interface is the Optoma UHZ65 (and I am still waiting for projectorcentral's review of it). I would consider this JVC but that $600 lamp price is a deal killer plain and simple. I agree with a previous comment on the Epson 5040UB that it should be reissued with an 18GB HDMI interface. But I would also add a laser light source as well - that would truly be a killer projector. Steve J: Assuming the calculator is correct, you can get the 100 inch size, but it will be tight. The calculator says that the minimum throw range for a 100" image is 10 foot 2 inches. But that's from the lens, at the *front* of the projector. The back of the projector will be 11 foot 8.6 inches from the screen, and you'll need a little room behind it both for plugging in cables and power cords and so you won't block the cooling vents. Lenses can also vary from one unit to the next, so the numbers from the calculator are only approximate. If it's too bright, you can always add a neutral filter to the lens to cut brightness down. Thanks for the reply Bob. I think I should be fine then. From the screen to the back of the room (which will be a blackout curtain) is 14'8". I assume I should mount as far back as possible leaving a few inches at the rear of the projector for cables and cooling vents. My original comment/question was estimating a lens to screen distance of 12 foot 6 inches. I would like to upgrade my screen to a 138" 2.35:1 screen. Would my current mounting be okay for that screen size or would I need to remount? Thanks for the help and have a Happy Holiday ! Steve J: The calculator says that the closest you can be to fill a 138" 2.35:1 screen is 14 feet 9 inches, so that's not going to work. If you go to the calculator, pick the aspect ratio and and adjust the image Diagonal setting to the screen size you want, you can see the throw range right above the Aspect Ratio option, and below the yellow bar that shows Recommended Seating and Max Room Lighting. Does anybody know, is the 440 is the same as the 590 for the JVC? I couldn't find anything online about that. I went on JVC's website and it said be wary of counterfeit JVCs in USA and that these models aren't sold online by online retailers. Does anybody know if this is true or not? I want to buy from ProjectorPeople but I want the real thing. Tom, ProjectorPeople is one of the largest professional AV resellers in the United States. They are an authorized JVC reseller and you will be getting genuine products from them. They have been advertising on our site for 18 years and we know them quite well. I am setting up a home theatre for the first time and I am new to projectors. I will be using my theatre both as a true theatre, i.e. low light. However, I will also use the room to entertain, watch a game etc., in higher levels of light. Will picture quality be materially diminished in higher levels of light, or will it work for my intended purpose? Dylan, all high contrast HT projectors are diminished in ambient light to some degree. Whether it is diminished to the point of unacceptable depends on the amount of light and one's subjective interpretation of what is acceptable. If you want ambient light performance maximized, set it up with a Black Diamond or some similar ambient light rejection screen.